(1) NO SPOILERS PLEASE. “Star Wars lands preview on Disneyland TV special”, a Deadline.com article, says the special will air February 21 on ABC. Harrison Ford — Han Solo himself — will give viewers an exclusive preview of Star Wars-themed lands being developed at Disneyland and Walt Disney World during The Wonderful World of Disney: Disneyland 60. Ford also will introduce a Star Wars spectacular featuring a live performance of the music of John Williams. (2) FROZEN IN CARBONITE. If you order quick, you can be in front of the TV that night enjoying a couple of scoops from your Ample Hills Creamery’s Star Wars 4-pack. Cost: a mere $ 36.00. (3) NY STATE OF MIND. Samuel R. Delany will be inducted to the New York State Writers Hall of Fame in a ceremony on June 7. Previous inductees include Madeleine L’Engle in 2011, Joyce Carol Oates and Kurt Vonnegut in 2012, and Isaac Asimov in 2015. The New York State Writers Hall of Fame or NYS Writers Hall of Fame is a project established in 2010 by the Empire State Center for the Book and the Empire State Book Festival and headquartered at the New York State Library in Albany, New York, … to highlight the rich literary heritage of the New York State and to recognize the legacy of individual New York State writers. New writers, both living and deceased, have been inducted annually since 2010. @dianaglyer Congratulations on finishing Bandersnatch and on its success! February 6, 1944 — Captain America becomes the first theatrical Marvel Comics release. 2. IT WAS SHOT IN JUST 23 DAYS. 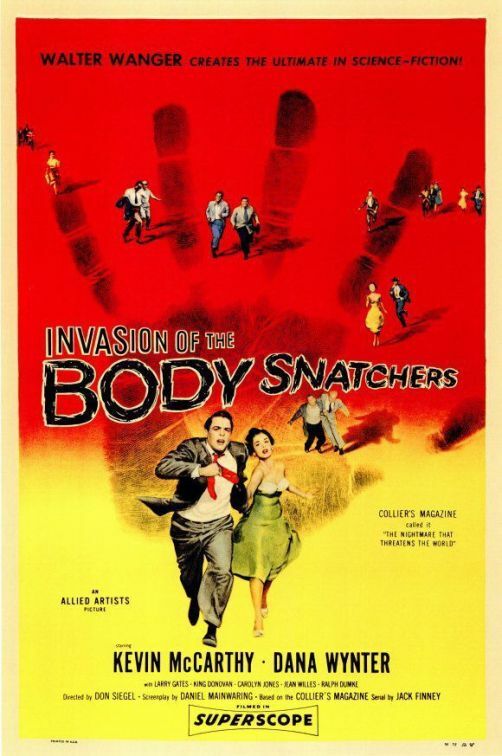 With a modest $380,000 budget (roughly $3.3 million in today’s dollars), Invasion of the Body Snatchers started filming in Sierra Madre, California on March 23, 1955. If you’re a horror buff, the little city may look a bit familiar, since segments of Halloween (1978) and The Fog (1980) were shot there as well. Born February 6, 1932 — French film director Francois Truffaut. His only English language directorial movie was Fahrenheit 451 which was also his first color movie. He played Claude Lacombe in Close Encounters of the Third Kind. (7) SNAP JUDGMENT. Photographer Murray Close’s Greatest Hits. Jack Nicholson, center, Stanley Kubrick, right. 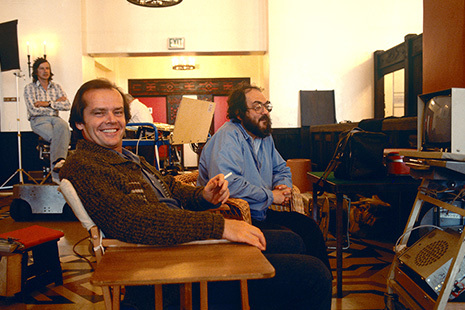 Murray Close’s introduction to photography and the movie business began with an assignment on Stanley Kubrick’s ‘The Shining’. It turned out to be a three year master class that would influence his work from that point on, forging strong links with the film industry and receiving a priceless photographic grounding. With a mentor such as Kubrick and a hunger for strong imagery Close quickly became the first call for Hollywood A List productions. (8) RABID PUPPIES. Vox Day added another category to the slate today: Rabid Puppies 2016: Best Semiprozine. Toni Weisskopf and Jim Minz of Baen, Anne Sowards of Ace, and Sheila Gilbert of DAW were the four legit finalists last year. All four could very well contend again this year…. There are some other outstanding editors who deserve your consideration as well, however. So let me bring a few of them to your attention. Starting with my own editor, ANNE LESLEY GROELL, of Bantam Spectra…. And then there’s Tor. David G. Hartwell has won three times, and so has Patrick Nielsen-Hayden, but there are lots of other terrific editors at Tor who deserve some recognition. DIANA PHO, who edits our Wild Cards books. MOSHE FEDER, who discovered Brandon Sanderson. HARRIET MCDOUGAL, Robert Jordan’s editor who put together this year’s WHEEL OF TIME COMPANION. And LIZ GORINSKY…. So, okay, lots of good strong candidates right here in the US of A… but you know, there are some great choices on the other side of the Atlantic as well. All the great editors are not American, you know, and the Hugo is not restricted to US companies. A lot of British and European fans joined worldcon last year to vote for Finland in 2017. I hope that most of them will take the time to nominate… and that they will look beyond the US publishing scene and rectify a decades-long injustice by nominating MALCOLM EDWARDS of Gollancz/ Orion and JANE JOHNSON of HarperCollins Voyager for the Hugo. For those of you reading this who are not writers or editors and maybe don’t know this stuff — Malcolm Edwards and Jane Johnson are the two giants of British SF and fantasy…. This entry was posted in Pixel Scroll and tagged Diana Pavlac Glyer, George R. R. Martin, Harrison Ford, John Green, Samuel Delany, Star Wars, Vox Day by Mike Glyer. Bookmark the permalink.